The Sports Cycle’s Donnie Dwyer is at the Rose Hill Gym to report on Fordham’s 79-60 win over Howard. Ryan Rhoomes had a double-double of 19 points and 11 rebounds, Branden Frazier had 17 points and 6 rebounds, and Mandell Thomas had 15 points and 8 rebounds. The Rams are now 6-3 on the season. The Sports Cycle’s Donnie Dwyer is at the Rose Hill Gym reporting on Fordham Basketball’s 31 point win over Furman. Ryan Rhoomes had a standout game with a double-double of 15 points and 14 rebounds (9 offensive), Mandell Thomas had 19 points and 4 rebounds, Jon Severe keeps up his 20+ streak with 23 points and knocking down 5 three point shots, and the Fordham defense didn’t allow the Paladins to make a three point shot in the game. I was sitting on the baseline with my camera in hand for the 85-73 loss to Sacred Heart and I couldn’t help but think this season was lost after Fordham lost Manny Suarez, Antoine Anderson, and Ryan Canty for an uncertain time table. Plus, Bryan Smith suffered an injury in practice and has missed a couple of games. In the press conference, Coach Pecora was very upset and said things were going to change in the “Battle of the Bronx.” He practiced his players very hard to teach them that every possession matters. Well, it showed Tuesday night and here are my 5 reasons to why they were so successful in the victory against Manhattan. During the loss to the Pioneers, the Rams only took 20 free throw attempts in the game and only 1 in the first half. During the win against the Jaspers, Fordham took 37 free throw attempts and converted on 26 of them. Being aggressive led to Manhattan’s shot blocker Rhamel Brown, who finished the game with 9 blocks, to foul out of the contest. Fordham has gone to a four guard lineup which allows quicker guards to matchup with slower forwards. Coach tells his guards to get to the basket and finish through contact. Having speed is an advantage the Rams want to exploit all season long. Freshman Jon Severe and Senior Branden Frazier each took 13 free throw attempts in the victory and the Jaspers totaled 28 personal fouls which takes away minutes from big time athletes. Through 5 games, the main slashing guards (Frazier, Severe, and Thomas) have attempted 101 free throws combined up to this point. If these three continue to attack the defense, the Rams will have more W’s in the win column. The Rams allowed 40 points in the paint and only 15 three point shot attempts to Sacred Heart in the rough loss. 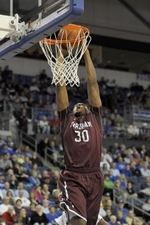 But in Tuesday night’s victory, Fordham forced Manhattan to take 32 three point shots and they only converted on 6. The Rams have gone to a 2-3 or 2-1-2 zone for most of the season. They key to the zone is communication. Through 4 games, the communication was a work in progress. On Tuesday, Fordham gave Manhattan looks from deep and forced long jumpers which led Fordham to run out in transition and attack the rim. If Fordham allows Furman to take 32 three point shots, they should have themselves a winning streak and a home victory. Through Fordham’s first four games, the guards have a combined 114 rebounds and the bigs have 63 rebounds. They key to the Rams success is having your forwards and centers rebound the rock. On Tuesday, the guards got some help. In the win, Travion Leonard and Ryan Rhoomes had 13 of the 42 rebounds and 6 of the 14 offensive boards. If Fordham can get Leonard to average 7 rebounds and Rhoomes to average 6 rebounds, the Rams would get help on the glass and it would take pressure off the guards to crash the boards every time there is a miss. If #2 and #30 continue to be consistent rebounding the basketball, Coach will find it easier to call their name during a game and give him confidence that they will produce. One of Fordham’s strong statistics is their assist to turnover ratio through 5 games. They have a 1.2 assist to turnover ratio which is better than the -4.5 they had last season. This is due in large part to the four guard lineup, the great ball movement from sideline to sideline, and the lack of a post play in the offensive sets (like a Chris Gaston or Kervin Bristol) to be successful like in years past. Fordham can now attack off the dribble and use the spacing of the floor to their advantage rather than go into a motion offense and eat up clock. 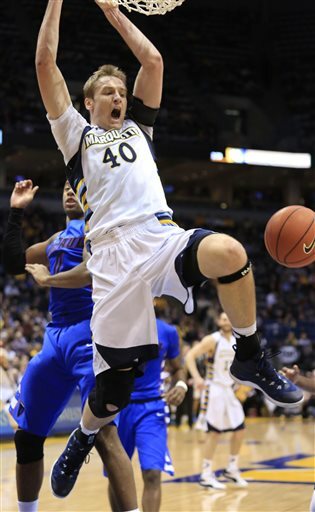 The Rams converted on 16 second chance points on 14 offensive rebounds in the win Tuesday Night. During the first four games the Rams averaged just 9.5 second chance points a contest, so to score 16 second chance points was a big improvement. Fordham showed that if they crash the glass, they can score on an easy bucket or start a new offensive possession to create more chances to put points on the scoreboard. 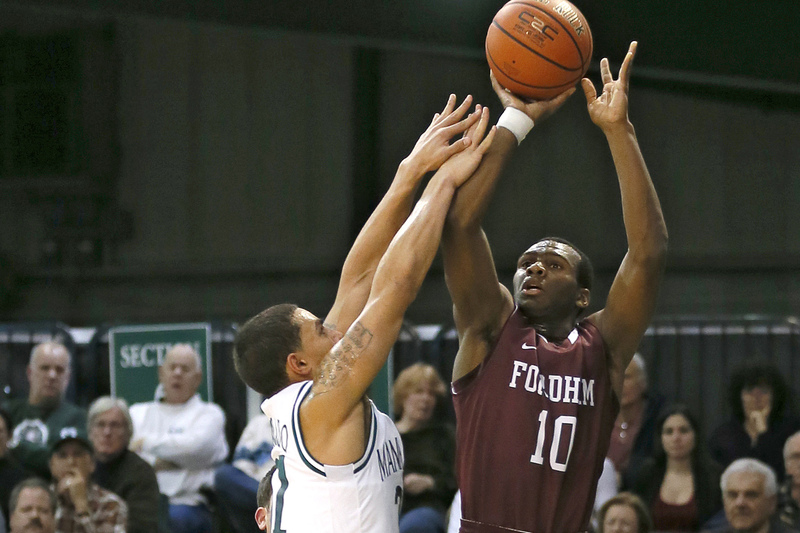 Fordham takes on Furman this Wednesday at 7 PM in the Rose Hill Gym. The Paladins are ranked 213th in rebounding with 35.2 boards a contest. The Rams need to take advantage of that weakness and continue to create points from the free throw stripe.